Quick summary: In this lesson, students investigate a local ClimateWatch Trail, studying various environmental features. Students then work in groups to create a single page website that can be shared throughout the community to inspire people to visit and record species along the trail. This lesson has been developed in partnership with Earthwatch. Earthwatch developed the ClimateWatch program with the Bureau of Meteorology and The University of Melbourne to understand how changes in temperature and rainfall are affecting the seasonal behaviour of Australia’s plants and animals. Students understand how the behaviour of a single species can reveal information about a range of environmental factors. Distribution and characteristics of biomes as regions with distinctive climates, soils, vegetation and productivity (ACHGK060). Human alteration of biomes to produce food, industrial materials and fibres, and the use of systems thinking to analyse the environmental effects of these alterations (ACHGK061). Evaluate sources for their reliability, bias and usefulness and select, collect, record and organise relevant geographical data and information, using ethical protocols, from a range of appropriate primary and secondary sources (ACHGS064). Apply geographical concepts to synthesise information from various sources and draw conclusions based on the analysis of data and information, taking into account alternative points of view (ACHGS068). Present findings, arguments and explanations in a range of appropriate communication forms, selected for their effectiveness and to suit audience and purpose; using relevant geographical terminology, and digital technologies as appropriate (ACHGS070). The application of systems thinking to understanding the causes and likely consequences of the environmental change being investigated (ACHGK073). Evaluate sources for their reliability, bias and usefulness and select, collect, record and organise relevant geographical data and information, using ethical protocols, from a range of appropriate primary and secondary sources (ACHGS073). Apply geographical concepts to synthesise information from various sources and draw conclusions based on the analysis of data and information, taking into account alternative points of view (ACHGS077). Present findings, arguments and explanations in a range of appropriate communication forms, selected for their effectiveness and to suit audience and purpose; using relevant geographical terminology, and digital technologies as appropriate (ACHGS079). 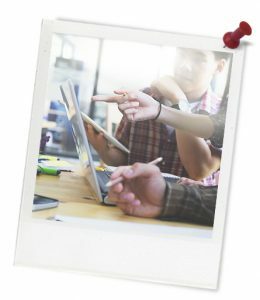 Syllabus outcomes: GE5-1, GE5-2, GE5-3, GE5-7, GE5-8. General capabilities: Information and CommunicationTechnology (ICT) Capability, Critical and Creative Thinking, Literacy. Relevant parts of Year 9 Geography achievement standards: Students explain how geographical processes change the characteristics of places. They analyse interconnections between people, places and environments and explain how these interconnections influence people, and change places and environments. They predict changes in the characteristics of places over time and identify the possible implications of change for the future. Relevant parts of Year 10 Geography achievement standards: Students explain how interactions between geographical processes at different scales change the characteristics of places. Students identify, analyse and explain significant interconnections between people, places and environments and explain changes that result from these interconnections and their consequences. Unit of work: ClimateWatch: Citizen Science – Geography – Years 9 & 10. Level of teacher scaffolding: Medium – teacher will facilitate class discussions and group work. Student Worksheet (one copy per student). Data projector and connected internet-enabled device. Enough internet-enabled devices to allow students to conduct paired research. A class set of A4 or A3 pieces of paper. A pile of sticky notes. Keywords: Earthwatch, ClimateWatch, geography, pollinators, citizen science, biodiversity, community. Students can explain the link between species behaviour and environmental factors. Students can conduct rigorous online research that clearly connects flying-foxes to their environment. Students can create persuasive texts using geographical information specific to the behaviour of flying-foxes. Thought starter: Of the over 60 ClimateWatch Trails around Australia, at least 25 include a species of bat. 100 Acres Reserve (VIC) has the white striped bat. Australian National Botanical Garden (ACT) has the white striped bat. Bibra Lakes (WA) has the white striped bat. 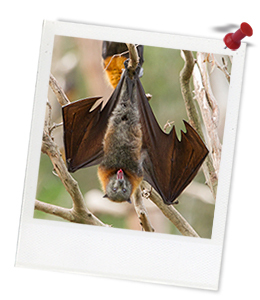 Brisbane City Gardens (QLD) has the black flying-fox, the grey-headed flying-fox and the white striped bat. Currawong Bush Park (VIC) has the white striped bat. Grampians National Park: Venus Baths (VIC) has the white striped bat. Gumblossom Reserve (WA) has the white striped bat. Herdsman Lake (WA) has the white striped bat. Kangaroo Valley PS (NSW) has the white striped bat.